What are the laws surrounding raising money or donations for a charity or not-for-profit in Australia? While you’d expect the answer to be a simple one, not-for-profit fundraising laws in Australia are incredibly complex – and almost impossible to navigate. This paper will guide you through current fundraising regulations by state, the effect of Australian Consumer Law on charitable fundraising and finally recommendations for where we may go next. Note: The following is an abridged version of Andrew Lind’s Fundraising Regulation paper. To receive the full copy, please use the form below. Part III – Where to next in reform? For charities and not-for-profit entities (‘NFPs’) in Australia, fundraising legal compliance is tricky to navigate and almost impossible to fully comply with, particularly in the age of online fundraising. Not only are NFPs often faced with outdated and archaic fundraising laws within their primary State of operation, the same entities are also faced with having to comply with fundraising laws of other states should they wish to fundraise cross-border. The “world wide web” is cross-border. Current State (and Territory) fund raising regulation appears to be “stuck” in a bygone era of an army of volunteer “door knockers” with identification badges, constrained by the geography of the streets they are assigned, trained in the dos and don’ts of the appropriate ‘ask’ and planned months in advance. Today a crowd-funding web page can be set up overnight to help support a person in ‘distress’, cross promoted across multiple social media platforms (even during live TV), and rapidly ramped up with pay-per-click advertising. The campaign may be ‘done and dusted’ before donors can cry ‘foul’ or regulators take a second (or even a first) look at what is going on. Today paid commercial fundraisers and their army of paid workers (chuggers) work the streets of our larger cities and towns, clothed in the colourful t-shirts of well known charities, with very little real transparency into just how much of what you might put into their bucket may actually make its way back to the charity and then into front line charitable services. Even leaving aside the issue of transparency with ‘chuggers’, the Deloitte Access Economics: Final Report, Cutting Red Tape: Options to align state, territory and Commonwealth charity regulation, issued in February 2016, estimates that the annual red tape cost to charities of seeking to comply with the disparate fundraising regulation on a State by State basis is $15.1M per annum. The practice of fundraising compliance has been criticised by Justice Connect as inefficient, wasteful and costly. They, along with others, in their recent #fixfundraising campaign have been advocating for the repeal of State (and Territory) based fundraising regulation and the amendment of the Australian Consumer Law (ACL) to ensure the application of the ACL to almost all fundraising activities. The recent review of the Australian Consumer Law, which also and in addition to the State (and Territory) based regulation, also applies to much fundraising activity, recognised the application of this legislation to much fundraising activity. However the final review report by Consumer Affairs Australia and New Zealand (CAANZ) stopped well short of recommending immediate amendments to the ACL. The approach of the report is immediate Regulatory Guidance and a further review of the assessment of the effectiveness of that guidance in 2019-20. 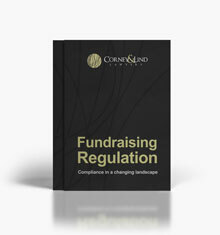 This paper is designed to bring readers up to date with fundraising regulation in Australia. Part I of this paper will define the extent of regulated activities in Australia and explore operating State and Territory fundraising laws and regulations. Part I will also consider limits of commercial fundraising commissions in the supply chain and cross border fundraising. Part II will then move to examine Schedule 2 of the Competition and Consumer Act 2010 (Cth) (‘CCA’), the Australian Consumer Law (‘ACL’), the relationship between consumer protection and charitable fundraising and when the ACL currently does and does not apply. This part will also consider the recent Belle Gibson case. Lastly, Part III will consider the recently published Justice Connect Statement on Fundraising Law Reform as well as the Australian Government’s recent response to the Consumer Affairs Australia and New Zealand (‘CAANZ’) Interim Report, and make some observations about the suggested reform pathway. This paper was presented by Andrew Lind on 12 May 2017 at the The 5th Annual Not for Profits and Charities Regulatory Conference in Melbourne. Please use the form below to request your copy of the paper.